People apparently liked MoonPie Davis. He got a lot of page views and a few comments from readers. I really enjoy hearing from you because it lets me know how I’m doing . 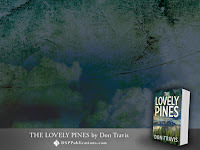 I know we had a recent post on The Lovely Pines, but the book’s release date is Tuesday the 28th, so can’t resist the urge. 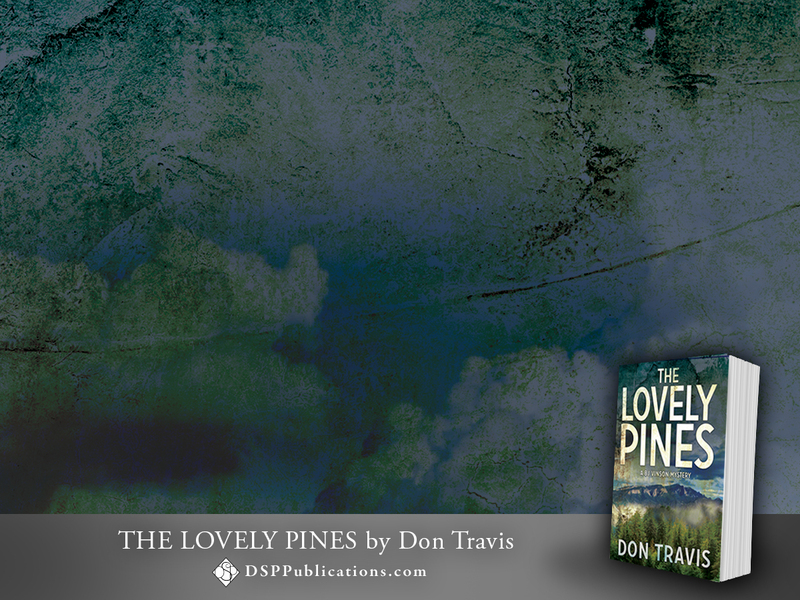 This is the fourth book in the BJ Vinson series, and I chose to make the setting of the novel north of Albuquerque in the wine country. Many people don’t know that New Mexico was one of the earliest wine-producing regions in North America. Nor is it common knowledge that the town of Bernalillo fifteen miles north of Albuquerque was originally established around a thousand years ago as an Anasazi settlement. It was abandoned when the Spanish arrived and made it a military encampment. Placitas, a small (but pricey) settlement west of Bernalillo On the slopes of Sandia Mountain was also originally settled by the ancient ones. Of course, if you read my book, you’ll be introduced to those facts. I had to do a little research for this one because, you see, I don’t drink. About twice a year I’ll have a glass of red wine with a meal, but I have no “nose” for wines. I can’t tell the difference between a good one and a mediocre one. The scene I’ve chosen below comes at the end of Chapter 2. BJ is making his first trip to the Lovely Pines Winery and Vineyard at Valle Plácido just east of Placitas. He’s been engaged to investigate a senseless break-in at the winery during which a hasp was pried off to gain admission, but nothing was taken nor was there vandalism. It’s a background scene, not an action scene. When it opens, BJ is talking to James Bledsong, a transplanted Californian, who is both vigneron (responsible for cultivating the vineyard) and viticulturist (in charge of the health and well-being of the fields). I hope it gives you a feeling of the book. “The guys who work for me, you mean? There are only two of them, Claudio Garcia and Winfield Tso.” He pointed to two men working among the plants some distance away. One figure towered over the other, putting me in mind of the old Mutt and Jeff cartoons. “I guess they figure the deputies were right. Kids, most likely,” Bledsong added. I asked a few more questions before returning to the chateau. On the way I started to change tapes in my little machine before remembering I’d joined the modern world and now used a digital recorder. Gonda was still at the winery, but Margot showed me the tasting room—which was empty at the moment—where I learned I’d been drinking wine the wrong way for lo these many years. It wasn’t a soda and shouldn’t be imbibed in the same manner. Then she insisted we have a cup of espresso in the Bistro, where I met the cook, a plump lady with an angel face named Nellie Bright. A local girl introduced as Katie served us at a small, intimate table in the corner. “Are you on board with this?” I asked as soon as we were situated. I asked Margot the same question I put to Bledsong earlier about children breaking in without at least stealing a lot of wine. She frowned. “Then what could it be?” At that moment I believe the incident became as serious to her as it was to her husband. Shortly thereafter, I excused myself and wandered back to the winery. Gonda was in his lab, but I didn’t bother him. I merely walked around the place seeing what I could figure out on my own. I found the press and what I was pretty sure was the primary fermentation equipment. I also figured out the secondary fermentation setup, but beyond that I was lost. The cellar beckoned, and I wandered down the long, silent rows of barrels. The temperature and the high humidity raised chill bumps on my arms. When I reached the area against the rear wall that looked like a campout spot, I paused to consider things. The two wine bottles—the one disturbed in the rack and the one taken—argued someone gained access to the winery when they were not supposed to. There had been no additional break-ins, and Gonda kept tight control of the keys. That suggested the intruder laid his hands on a duplicate set. Whoa, now, Vinson. Don’t get ahead of yourself. Do the background checks and see if anything turns up that suggests skullduggery on the part of an employee. After all, they wander in and out of the place all day long. Gonda wasn’t constantly in his lab, so someone could have entered and fussed with the champagne bottle. Likewise, it wouldn’t be too hard to smuggle a bottle from the cellar during work hours. The only way in and out of the cellar was through the winery, and thence to the outside by means of any one of three exits: the main entry at the front, a smaller portal opening to the east, and a large roll-up door giving out onto a loading dock on the west side. All three doors were sturdy and showed no evidence of damage, no appearance of having been picked. Of course, an expert thief would probably leave no such evidence. Gonda assured me all the locks had been changed after he acquired the business from the C de Bacas. No, the break-in was not the work of a professional. Professionals did not rip a hasp from the door unless they were doing a smash-and-grab job. And this had not been one of those operations. Stealth. Except for the hasp. I made a point of shaking hands with each of the three winery workers. Parson Jones was a black man in his early forties. Bascomb Zuniga looked to be a Hispanic barely old enough to work around alcohol. John Hakamora, a Japanese American, said he came out of the south-central New Mexico lettuce fields. Marc Juisson, the nephew, was away on a business trip, so I would meet him later. It was midafternoon before I collected the payroll records from Margot and promised to have Charlie Weeks contact her to come out to fingerprint everyone. Then, with the champagne bottle still in its protective wrapper, I climbed into my white Impala and headed for Albuquerque. I’d tackle the two vineyard workers later. Again, I apologize for doing another post on the book so close to an earlier one, but its pending release in five days overrode my common sense..
Abaddon’s Locusts is scheduled for release on January 22, 2019. I’m about 70 percent of the way through the first draft of The Voxlightner Scandal.